One of the great things about visiting Los Angeles is that there is always something going on in the city. 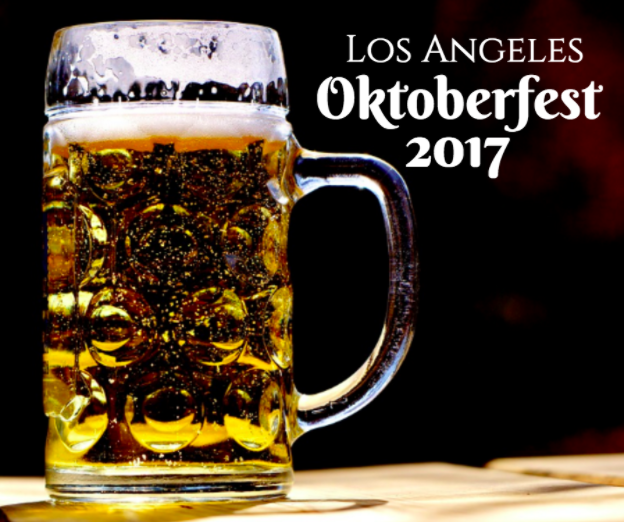 If you are looking for weekend events in Los Angeles, look no further because Oktoberfest is here and the bratwurst and brews are ready for you to enjoy! Read on to learn about how you can enjoy Oktoberfest in L.A. In the heart of Downtown L.A., you’ll find the 2nd annual Oktoberfest located at Pershing Square. This year, the Oktoberfest event will take place on October 21st and 22nd. One of the great things about this event is that there is FREE admission to the event! Instead of a cover, you can purchase various tasting packages so you can choose just what you want. Customize your Oktoberfest experience so you can get what you need. Packages start at only $15. The $15 package will get you four beer samples of your choice. For $22 enjoy eight different beer samples, for $30 take on 12 beer samples. All samples are served in 5oz glasses. Enjoy classic German beers such as Hacker-Pschorr or the Paulaner Munchen hefeweizen. There will also be a special Paulaner Oktoberfest brew. Other breweries that will be present include local favorite Angel City Brewery, as well as California classics such as Lagunitas IPA, Saint Archer, Iron Triangle Brewing Company, Coronado Brewing Co., and more. VIP tickets are also available. For just $65 per ticket, you will enjoy a flight of 8 beers as well as 2, 14 oz pours of your choice of beer! Other VIP additions include a special Oktoberfest mug to commemorate the event and delicious sausage and potato pancakes served up with dipping sauces and a side of mustard. There will also be a VIP lounge that includes tableside service. This year, enjoy Oktoberfest in Downtown LA at Pershing Square.